Some people call me a Fierce Wellness Warrior! Who’s going to argue with that? I’ll take that compliment all the way to the hills, but many are unaware of how I became who I am today. I used to view a woman who smiled and held their head high with confidence as having high self-esteem. You know the type; the girl who walks into the room with her carefree personality and flawless approach! But I was living in a cage, looking through the bars, and seeing only glimpses of sunlight. I didn’t realize that the true definition of self-esteem was finding worth in ones abilities and obtaining self-respect. As a young girl, I longed for such things, but I was unaware of how to reach them. In the household I grew up in, our idea of eating healthy was cracking open a can of green beans, salting up some corn on the cob, and enjoying a little mashed potatoes with our butter. I watched my mom struggle with yo-yo dieting – forever on a roller coaster of thin, fat, thin, fat. I didn’t understand her battle because I was the girl who could indulge in cakes, pies, and fries without gaining a pound. Processed foods were the name of my game! It was not until I graduated high school that I began to experience abnormal skin breakouts called Cystic Acne. Cystic Acne is a severe and uncommon form of acne. It causes severe physical and emotional pain and often leaves ones face unrecognizable. There is a drug treatment option, but the side effects are often unbearable. For me, the symptoms progressed to the point that my face appeared deformed, as if I had been in a car accident. The cysts came as a pack and took residency on my face. Basically, it is a sack that forms under the skin and protrudes to the top of the skin. It is tremendously painful if even slightly brushed. They will not go away for weeks at a time and because they are under the skin, extracting them is not always a good option because doing so will scar the face permanently. Even if one avoids extracting, this type of acne holds flesh eating bacteria that will ultimately produce scars if not dealt with in a certain manner. I reached a point of helplessness. I attempted to cover my face with piles of make-up, but no amount of cosmetics can cover up raised nodules and lumps. I began to style my hair in such a way that would cover most of my face hoping to distract people. I avoided leaving my house during the daytime and wouldn’t look people in the eyes. If one has never experienced severe cystic acne, it is difficult to understand the social repercussions of such a disease. I saw myself as a beast and couldn’t help but notice all the beauties with flawless skin. I became fixated on my problem – defining acne as ugly and clear complexions as pretty. My skin became who I was. I remember falling on my knees and screaming out to God, “Why will you not take this away? Why is this happening to me? What did I do to deserve this?” I had no quality of life. All my friends were at college and I distanced myself from them anyway. At that time I was married and was at least able to gain support for him. I had to do something; I bought every blessed product on the earth. Nothing worked! I went to a dermatologist and she gave me topical gels and oral medication. My PCP put me on birth control and again not only was it ineffective; it made me sad and have moods swings. That was not normal for me. I was beyond frustrated and desperate as things were getting worse and scaring was beginning to happen. At the time I was in school for criminal justice. I didn’t have a passion for criminal justice, but I felt I had to pursue education in something (anything) if I wanted to make it as an adult. I found myself asking God for direction for my life. I decided to leave this path and pursue being a Esthetician, skin therapist. During school the students would work on each other but I refused to remove my make-up for fear of being exposed. Looking back, I realize that my make-up was fooling nobody, but nevertheless it served as a security blanket for me. I was surprised how well I did in school. I was never the academic type, but because I was interested in the subject, I graduated with high grades. For the first time, I felt smart and capable. After graduating I worked at one of the top spas in Pittsburgh, which gave me even more self-confidence. It was there that I discovered organic facial products and God began to teach me how to take better care of my temple. I could not get enough information; I was like a sponge addicted to learning about living a holistic lifestyle. I now see that God used this experience to open my eyes to a world I didn’t know existed. It was a new option; one I had never even thought to try for my Cystic Acne. I was beginning to see things clearly. God was changing my mind. God was calling me to move forward, so I went to work at a plastic surgeons office as a medical esthetician (skin therapist). It was there that God worked on my character. I grew compassion for those who felt unworthy due to severe cases like mine, but I also saw gorgeous people who also suffered with low self-esteem. I realized that happiness had little to do with appearance and that balancing the inside is what counted. After I learned these lessons, I realized that I was bound for something greater and left to start my own business. I was scared to death, but my dream was bigger than my fear. God was changing my heart. One sunny afternoon, I sat poolside reading the popular book, “The Kind Diet” and everything clicked. I realized that meat is no friend to those suffering with acne since it is highly acidic and unbalancing to the acidic levels due to having acne. I was seeking alkaline for my body. I began only using non-toxic make-up and body-care products. I began to avoid sugar, dairy, and processed foods. For a time, I lived off eggs, fish, greens, and veggies. I began to understand that my body is as a sponge and will soak up whatever I put in it and on it. I went from a Slovak buttered noodle kind of girl to an advocate of clean living. Finally, God showed me how to help myself and gave me the power to do it. God was changing my body. My cystic acne began to get better and for the first time in my life I began to connect my mind, spirit, and body. I was finally whole. Being beautiful is a God-giving gift, being beautiful on the outside too is the cherry on top! Be wise and mindful with everything that God gives you! Bethany Montecalvo is the proud owner of Go Organic in which she specializes in organic spray tanning, spa treatments, skin care, professional make-up, hair design, and holistic health coaching. She is also a union make-up artist and works in the television and film industry. Bethany is a sought after speaker who encourages women to find wellness for their bodies, spirits and minds. As a Christian, she believes in the power of our stories and hopes to inspire others to bravely seek God’s full purpose for their lives. Learn more about Bethany at www.BethanyMontecalvo.com, www.PittsburghBethanyhealthcoach.com, and follow her blog at Goorganicbam.blogspot.com. She can also be found on Twitter @Goorganicbam and on Facebook at https://www.facebook.com/goorganicbam. To follow Jory Micah’s blog (which means that you will receive an email every time she writes something new), please go to the home page and enter your email at the bottom of the page. WordPress will then send you an email to confirm. That simple! 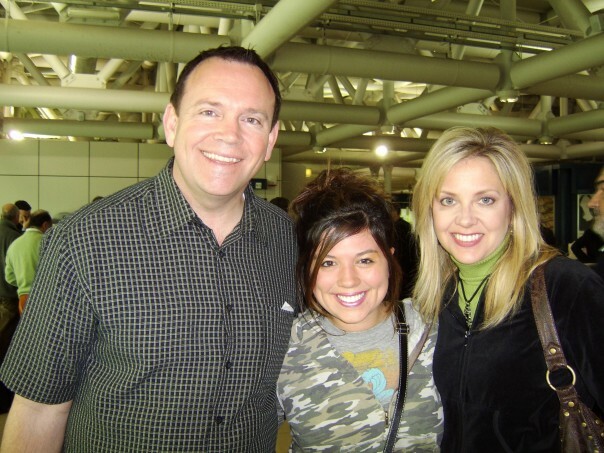 An Appeal to the Assemblies of God Church: Will You Hire More Female Pastors? Previous articleCall me Crazy, but I am going *Gluten* & *Dairy* Free! Next articleGod’s Will: Housewife or Career Woman?